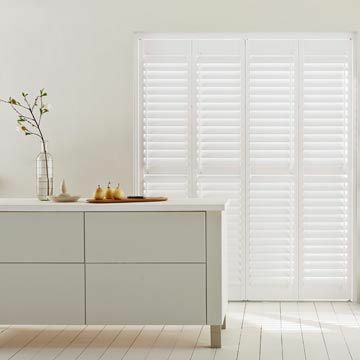 Tier-on-tier shutters in Bright White from the Henley range. Our Henley range is our water resistant option, making it perfect for kitchens and bathrooms. Choose a tier-on-tier configuration as we have here with these crisp white shutters to allow you to customise your light and privacy levels. Pure White from the Henley range. Our Henley range is water resistant and supremely strong, making it a perfect choice for kitchens and bathrooms. This kitchen-diner benefits from a crisp white shade, while the full height design makes them perfect for letting the light stream in. Made from premium quality polymer - so strong it is used in the production of crash helmets and kettles - this material is engineered to resist the dampest of conditions. Our Henley collection is smart and very practical, with features such as stainless steel hinges that won’t easily rust or discolour. Available in six versatile finishes including our popular whites and creams. 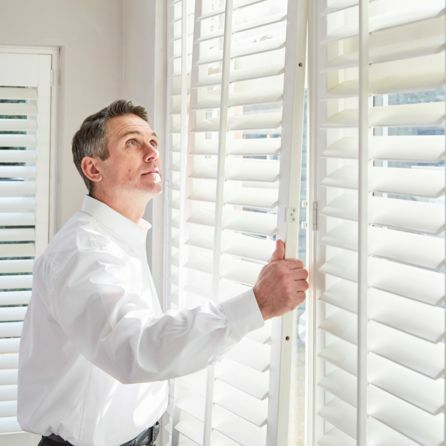 We offer the highest quality shutters, superbly constructed in eye-catching styles and beautiful designs. 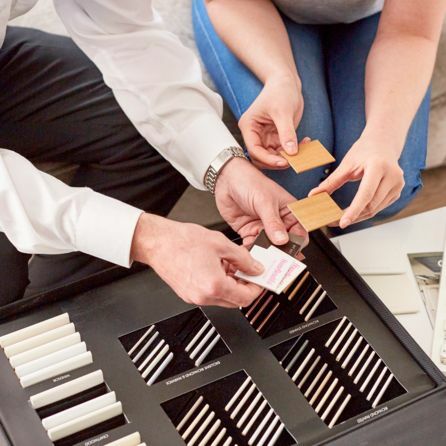 Each shutter we make is bespoke to the customer's requirements. Of course they're made-to-measure but there is also the finish and louvre width and style of tilt rod to choose.